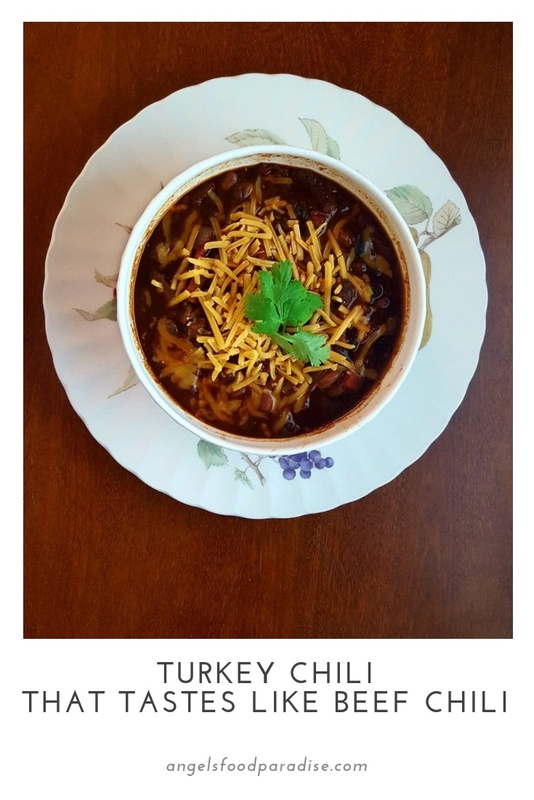 My recipe for Turkey Chili was an experiment. 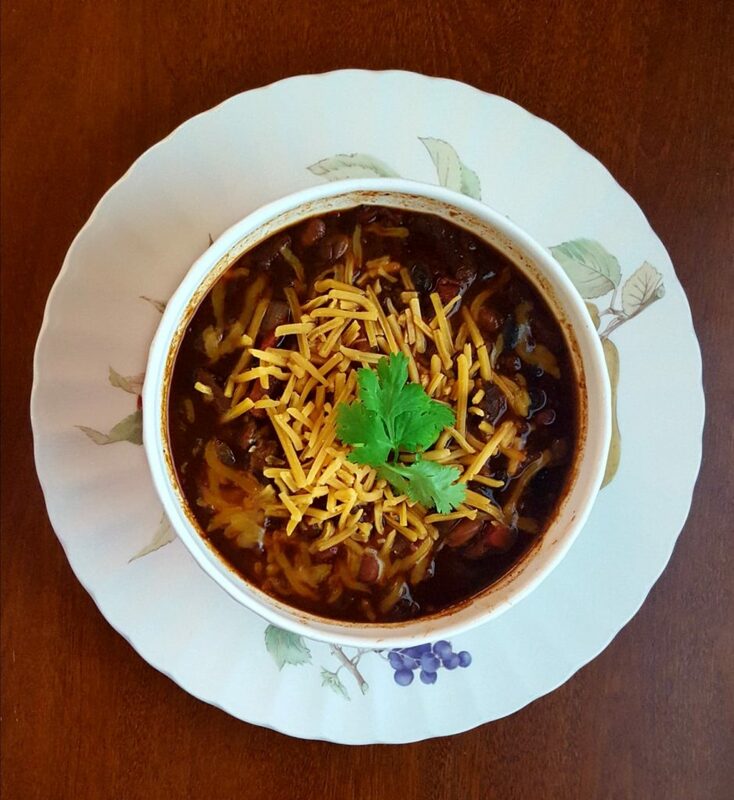 Could I make a chili as satisfying as a beef chili but using turkey? Often I find ground turkey lacking a lot of flavor for my palate and usually prefer the heartier flavor of beef over either ground chicken or ground turkey. 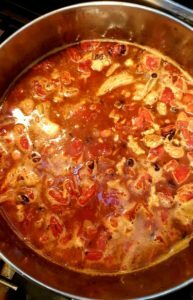 My addition of low sodium soy sauce in this recipe picks up the umami flavor for that heartier taste more like a beef chili. The exact soy sauce I used is by Lee Kum Kee. This soy has become my new go to because it isn’t as salty as other low sodium brands I have used and the flavor is deep and rich. This is a great recipe for a beginning level cook too. Quick, very simple to make, no need for take out and will reheat very well as most stew type dishes do. Cutting cholesterol for better health? Go leaner with the ground white meat only turkey. Another option is to substitute ground white meat chicken in this recipe would work well also for watching cholesterol. If you use all white meat ground turkey the cholesterol is less than in a blend of dark and white meat or all dark meat grind. Dark meat ground turkey is comparable to the 70/30 grind of beef. The choice is up to you when you cook at home and that’s why home cooking is really the best cooking. Enjoy experimenting in the kitchen! You could substitute ground chicken in this recipe also. 1) Drain and rinse the cans of beans in a mesh strainer. Set aside. 2) Medium dice the large onion. 3) Heat the oil in a Dutch oven or heavy bottom soup pot. Add the ground turkey breaking up into small bits with wooden spoon. Once broken up, allow the meat to sit without stirring so it will brown, stir as the bottom of meat is browned so the rest of the meat will also brown. 4) Add the onion and cook till translucent. 5) Add minced garlic, chili powder, smoked paprika, oregano, cumin, salt and pepper. Stir well so herbs and spices reactivate their flavor. 6) Add in all the rinsed and drained beans, soy sauce and water, stir well to mix al the ingredients. 7) Simmer on low for 45-50 minutes. Stir occasionally. 8) Taste, adjust salt to taste. Add hot sauce (or not) to taste.